We wanted to bring you an update on the turtle eggs we saw being laid back on June 12. #100happydays day 28 All through September we kept an eye on the nest. Finally we saw that it had opened a bit. 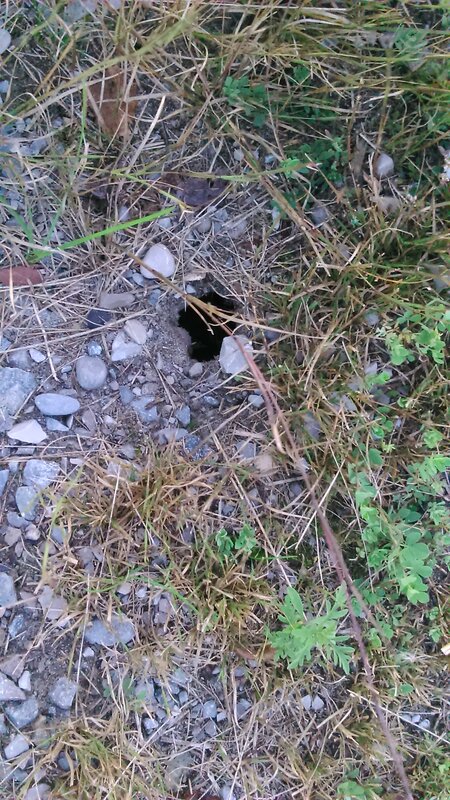 We are pretty sure the baby turtles clamored out of this hole. The next day we saw that something had dug it out complete. We were pretty happy to see that some of the little eggs hatched because up to 84 percent of snapping turtle nests are destroyed by predators such as minks, raccoons and skunks. We sure hope most of those special little snappers made it to the water. 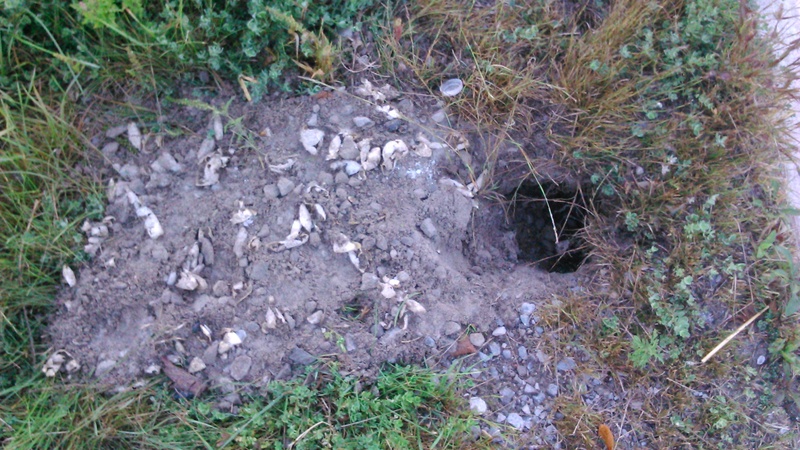 We are pretty sure that the nest was dug out by a racoon looking for stragglers. According to the web: “As with many reptile species, egg temperature during a critical stage of embryo development determines the gender of the snapping turtle hatchling. According to Scientific American, cooler temperatures at that stage produce males, while eggs incubated in warmer temperatures will produce females.” We can only assume because our summer was so cool that most of these little guy were; well, guys!